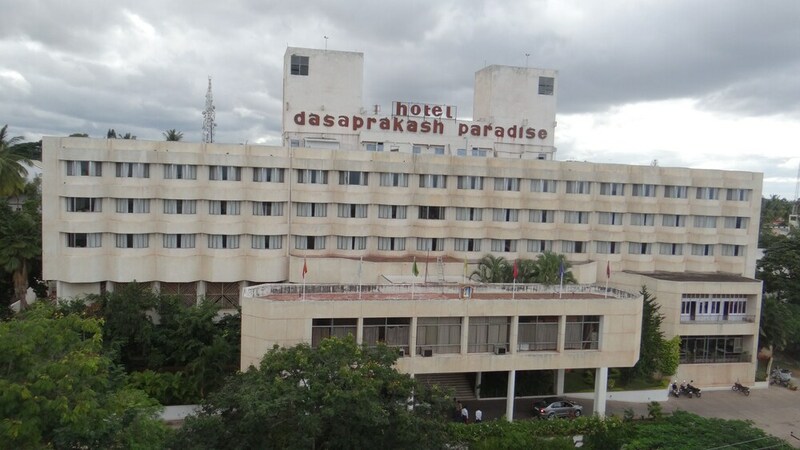 Situated in Mysore, this hotel is 1.7 mi (2.8 km) from Basappa Memorial Hospital and 2.2 mi (3.5 km) from Mysore Palace. Jaganmohan Palace and Art Gallery and Jayachamarajendra Art Gallery are also within 3 mi (5 km). Mysore Junction Station is 24 minutes by foot. A restaurant, WiFi in public areas, and spa services are available at this smoke-free hotel. Self parking is free. Additionally, a business center, conference space, and concierge services are onsite. All 80 rooms offer WiFi, room service, and TVs with digital channels. Free newspapers, ceiling fans, and phones are among the other amenities that guests will find. The hotel offers a restaurant. A computer station is located on site and wireless Internet access is available for a surcharge. This 3-star property offers access to a business center and a meeting room. For a surcharge, the property provides a roundtrip airport shuttle (available 24 hours) and a train station pick-up service. This business-friendly hotel also offers spa services, tour/ticket assistance, and a garden. Concierge services and wedding services can be provided. Complimentary self parking is available on site. Hotel Paradise is a smoke-free property. Fountain Bar - This bar specializes in Indian cuisine. Vishala Restaurant - This restaurant specializes in Indian cuisine and serves breakfast, lunch, and dinner. Vishala Restaurant - This restaurant specializes in Chinese cuisine and serves lunch and dinner. Vishala Restaurant - This restaurant specializes in Italian cuisine and serves lunch and dinner.